Strange Shirts! Urban Designs and Surreal Sequences! Crowds spiral around the eye of the city turning the masses into a giant creature sinking into the concrete! Secret messages reveal themselves as ancient architecture morphs with the modern glass skyscrapers! In addition to the open edition HEY APATHY! 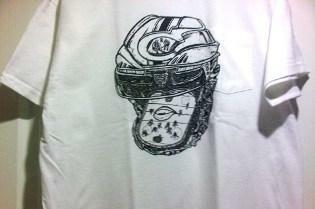 t-shirts a number of limited edition custom made and commissioned designs have also been produced. These works have been made to promote bands, community projects, and various festivals or events. I am always interested in working on exciting projects because the diverse range of inspirations often leads me to create images that I probably wouldn't have though of otherwise. 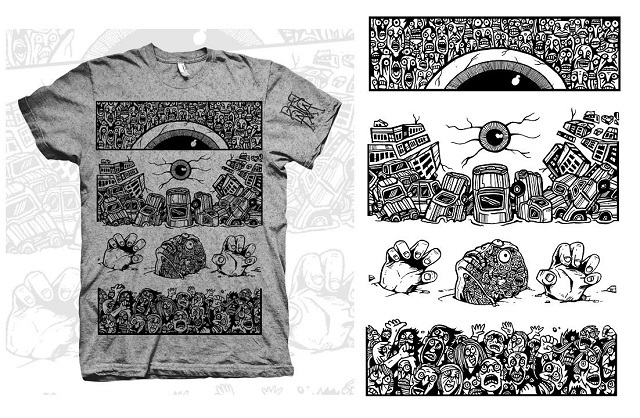 The crazy four-panel eyeball city shirt was made in collaboration with progressive heavy metal rocker "Between the Buried and Me". 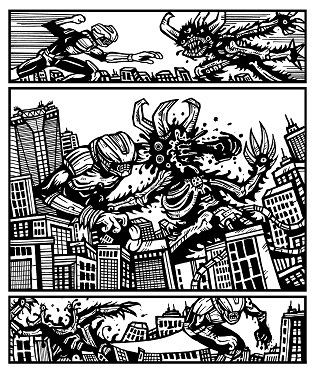 Inspired by their band name and unique mixture of contemplative and aggressive compositions I created the image featuring various aspects of the city sinking into the ground. The giant figurative character is made up of a number of smaller citizens and is starring up at the chaotic metropolis with a simultaneously somber and frenzied expression. 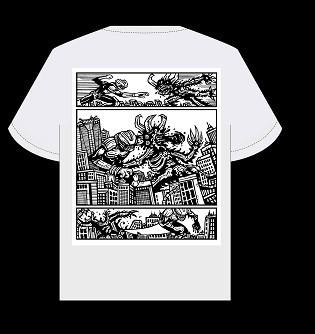 This shirt was produced in 2 limited editions (one grey t-shirt and one colored tank top) both of which sold out in a matter of hours. 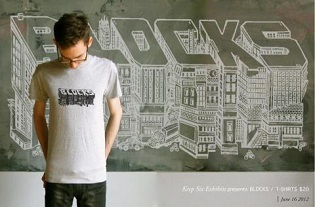 The "BLOCKS" shirt was commissioned as part of a unique community event. "Blocks" was a scavenger hunt in which the participants were given photographs of Toronto from the 1920's or 30's and the goal was to locate those areas and photograph the progress. The program was really interesting as it invited people to examine our city in a way most of us never really think about. 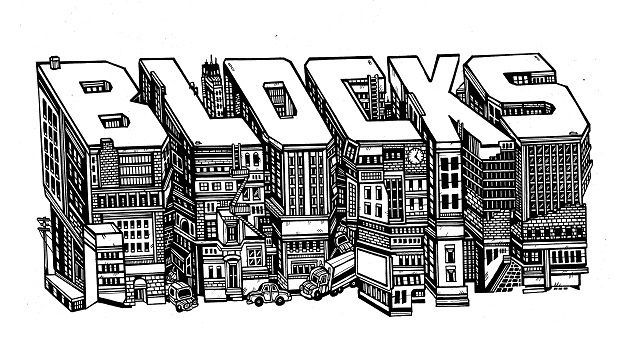 The image I created featured the title "Blocks" written across the rooftops of a city skyline composed of an amalgamation of old brick work and modern architecture.